The third and final volume of Roy Thomas’s The Heap continues in the line established and refined by the second volume. The formula had been polished, and the Heap continued to be a popular part of Airboy Comics until the end. Perhaps with the confidence of the formula, the writers no longer felt the need to cleave to the overall Airboy and airfighter theme of the book. The von Emmelman's life as a flier is seldom referenced any more. Given that the stories now had free reign to include fantastical elements, I find it interesting how many of them are weird menace—events that seem supernatural, but turn out to be entirely mundane. And while the plots include dragons, man-eating plants, witches, and mind control, there are also stories concerning ape-assisted jewel thieves, gas-lamping nobility, entirely human treachery, and still the occasional gangster. But these are not the straight-up rime stories from earlier in the Heap’s history. There is always something weird, or at least implicitly supernatural in the stories. The overtly beneficial influence of Ceres and Mother Nature is gone. The Heap acts alone, by instinct, or perhaps by dim reasoning, but without exterior inspiration. Although the stories had always traveled far, this last third of the Heap’s original incarnation cover a tremendous amount of cultural ground, from Africa to Native American New Mexico, France to Japan to China. There is also a creeping science fantasy involved in some of the later stories. The Heap encounters a plant transported by human astronauts from the planet Urania. Another science-based tale revolves around the strange man-eating plant found in Malaya. The Heap is seldom shot anymore. The writers, who are at this point anonymous, seem to assume that the audience knows that this half-man, half-vegetable creature is immune to gunfire. It is also, with no wavering whatsoever, the vessel of deliverance and justice. As often as not, the Heap does not figure particularly prominently in the stories, but it is always the fulcrum of the narrative. Without the Heap’s intervention, the story would not come out in a positive way. And there are varied and satisfying conclusions to the narrative, demonstrating that brute force it not always the way to resolve a story. Sometimes, an act as simple as purloining a sea-serpent’s egg or waving a flag from behind the grave of a respected general is all that is necessary. 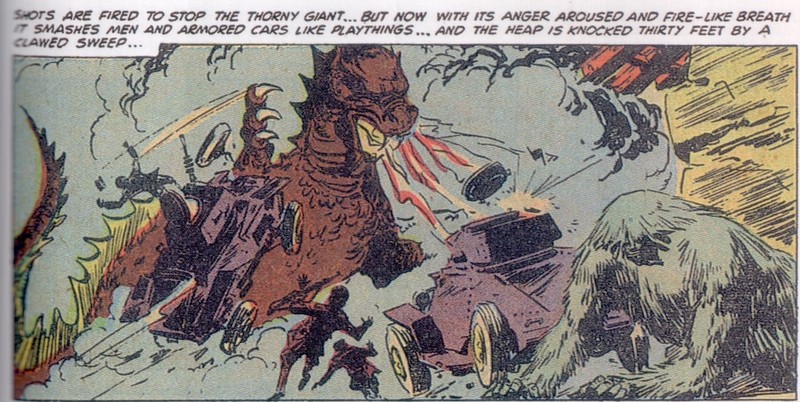 But as often as not, the Heap’s physical prowess is necessary, and Nature’s prank physically assaults evil men, alien plants, or even full-grown dragons. This is at least part of the appeal for me. The Heap has many ways of solving the problem posed by the narrative. The varied nature of these stories is part of the appeal of the character. One month, the Heap is hunting down the ship whose evil history causes the stumps in Wasau swamp, the next, it is battling an evil scientist that’s been petrified in a volcano. The art is entirely by the Heap’s best-known artist, Ernest Schroeder. 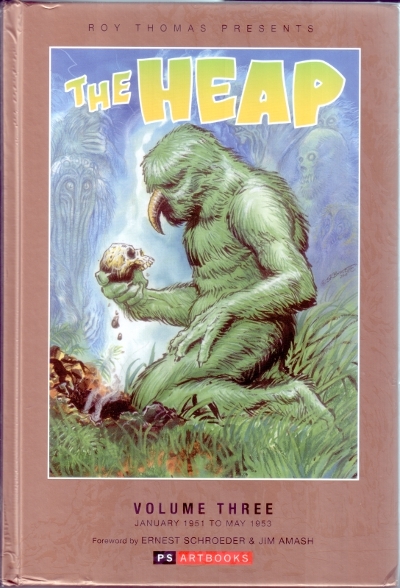 Schroeder illustrated the final half of Hillman’s Heap stories, and the Heap Volume 3 contains an interview conduced by Jim Amash interviewed him before he passed away in 2006. Schroeder’s Heap art is consistent, energetic, and conveys a sense of individuality for each character on the page. Ultimately, in the third volume, the Heap has found its niche. The Heap’s mix of weird and noir was perhaps an extension of the Weird Tales pulps, which was itself winding down in the middle fifties. The comics-related moral panic instigated by Fredrick Wertham’s Seduction of the Innocent and Congressional hearings were only a year away when Airboy Comics ceased publication. 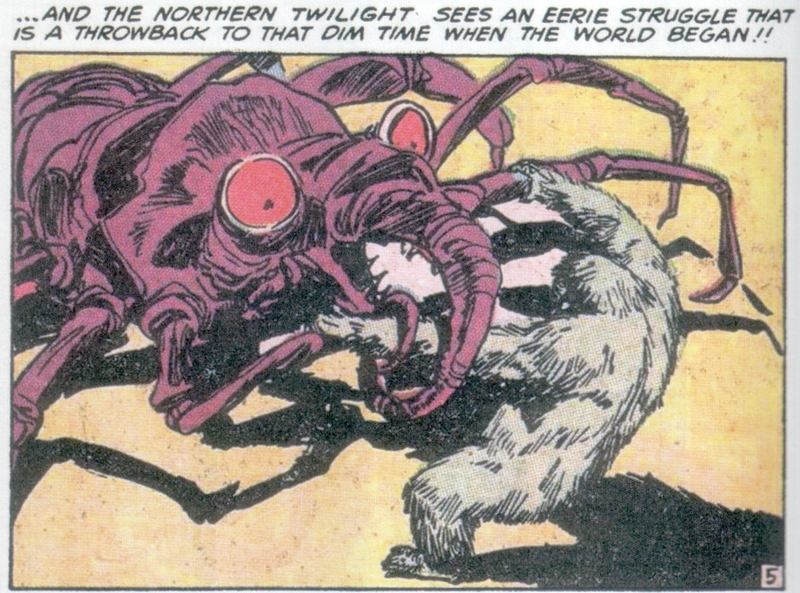 I had originally planned to dig into the Skywald version of the Heap next, but by chance, I discovered a swamp creature that is not mentioned in the Comic Book Creator's SwampMen book. I'll write that up in a few weeks. 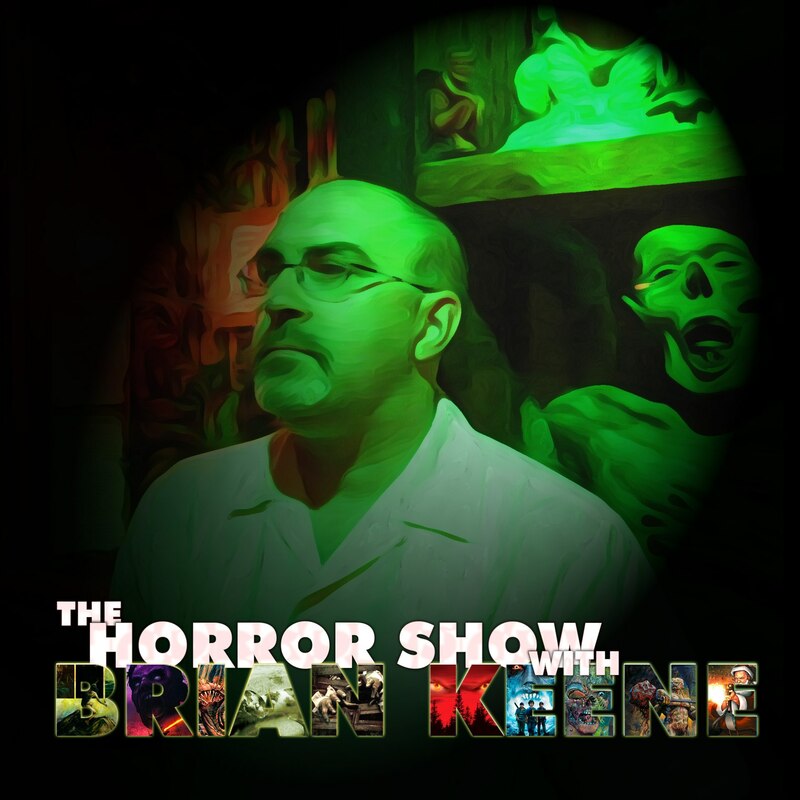 Huge thanks to Brian Keene and Dave Thomas for making me sound like I'm not a fumble-mouthed crazy-person, and also the wonderful people at Tia Sophia's who supported the episode.